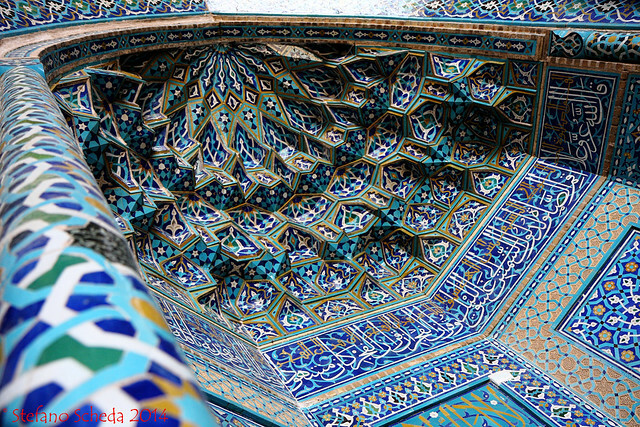 Photo challenge: think of the craftsmen who worked magic in stone, in tile, in intricate color and texture. Mihrab of Jāmeh Mosque – Yazd, Iran. Interesting angle and great image.